October 13th: After shutting down five major crude oil pipelines that carry Canadian tar sands into the United States, activists hold firm to their conviction that shutting these pipelines down is necessary and that their actions to do so Tuesday, as ordinary citizens, are morally justified given the state of the climate crisis and lack of appropriate action by governments. Pipelines were shut down simultaneously in Minnesota, North Dakota, Montana and Washington state. 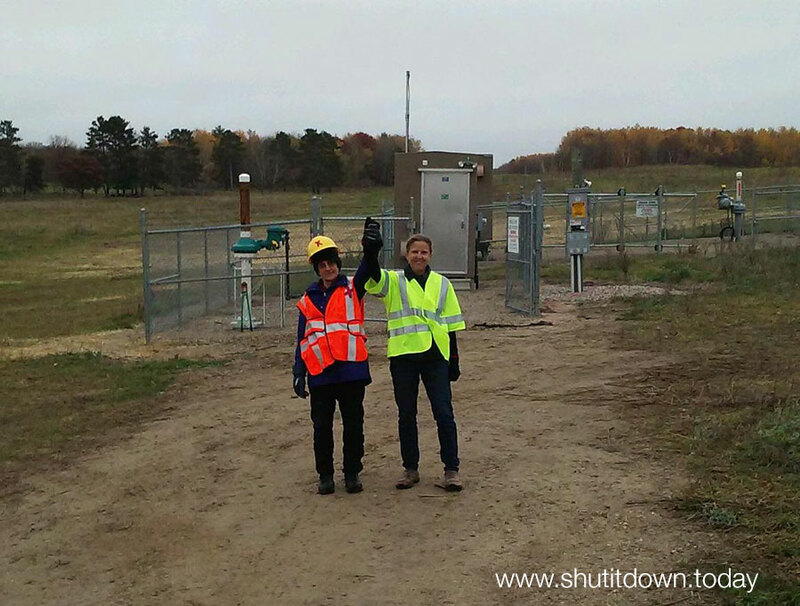 After being released from Clearwater County Jail in Minnesota for shutting down Enbridge Line 4 and 67 with Annette Klapstein, Emily Johnston of Seattle, WA said, “I need now this country to understand viscerally why we’ve done this. If we all understand this, and the risks to our lives now, there’s still a chance that we can turn from this catastrophic path, and leave a decent world behind. If we all go about our daily lives though, there is no such chance. Annette Klapstein said, “I am very happy to be out of jail, and amazed at all the support and love that's been flowing in for us--this is the strength and beauty of our movement, and it makes us far more powerful than the fossil fuel industry will ever be. Given the enormity of the crisis, we know that we had to do this, and we know that by acting in a way that begins to be commensurate with the risks we all face, we can give people hope to stay below 1.5C, and pressure politicians to begin to act appropriately." Two activists, two support team members, and one independent documentary film maker were in jail a second night in Cavalier, ND and Fort Benton, MT. All were released on bail Thursday. In total 10 individuals were arrested: 5 valve-turners, 2 people acting in support roles, and 3 independent documentary film crew members. Charges range from criminal trespass, sabotage, burglary, criminal mischief. Ken Ward, of Corbett, OR, who turned the valve on Kinder-Morgan’s TransMountain pipeline said ”Watching as the same, high amounts are being imposed for bail in our varied locations - $75,000 for valve turners, $50,000 for supporters and $25,000 or less for independent media - it's clear that we are being met with a coordinated, severe, governmental response. The simple, naive part of me wonders how can this be? I am charged with sabotage, among other things, for trying to stop one of the very worst sources of carbon emissions, which are sabotaging the conditions that make civilization possible and on which the security of the nation depends. Why is the government using laws designed to squelch effective action in the face of climate cataclysm? Who, really, are the saboteurs here?" 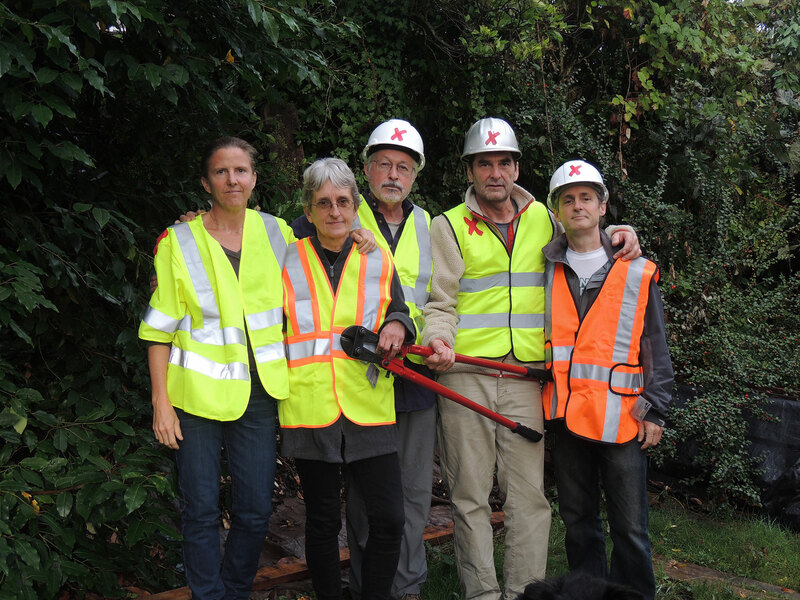 The activists arrested are: Ken Ward, Emily Johnston, Annette Klapstein, Michael Foster and Leonard Higgins. The support people arrested are: Sam Jessup and Reed Ingalls. The independent documentary film makers arrested are: Deia Schlosberg, Lindsey Grayzel and Carl Davis. Photos and video of actions are available for distribution. Activists are available for interview. Please call or email to arrange. Ken Ward, 59, of Corbette OR said, "There is no plan of action, policy or strategy being advanced now by any political leader or environmental organization playing by the rules that does anything but acquiesce to ruin. Our only hope is to step outside polite conversation and put our bodies in the way. We must shut it down, starting with the most immediate threats -- oil sands fuels and coal." Emily Johnston, 50, of Seattle WA said, "For years we’ve tried the legal, incremental, reasonable methods, and they haven’t been enough; without a radical shift in our relationship to Earth, all that we love will disappear. My fear of that possibility is far greater than my fear of jail. My love for the beauties of this world is far greater than my love of an easy life." Annette Klapstein, 64, of Bainbridge Island, WA said "Like mothers everywhere, I act from a deep love that extends to all children and young people, and all living beings on this planet. I have signed hundreds of petitions, testified at dozens of hearings, met with most of my political representatives at every level, to very little avail. I have come to believe that our current economic and political system is a death sentence to life on earth, and that I must do everything in my power to replace these systems with cooperative, just, equitable and love-centered ways of living together. This is my act of love." Michael Foster, 52 of Seattle WA said, "I am here to generate action that wakes people up to the reality of what we are doing to life as we know it. All of our climate victories are meaningless if we don’t stop extracting oil, coal and gas now." 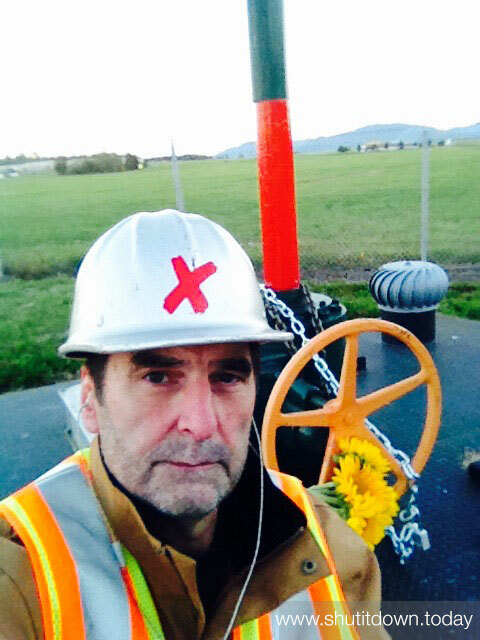 Leonard Higgins, 64, of Eugene, OR said, "Because of the climate change emergency, because governments and corporations have for decades increased fossil fuel extraction and carbon emissions when instead we must dramatically reduce carbon emissions; I am committed to the moral necessity of participating in nonviolent direct action to protect life." WHERE. Enbridge line 4 and 67, Leonard, MN; TransCanada’s Keystone pipeline, Walhalla, ND; Spectra Energy’s Express pipeline, Coal Banks Landing, MT; Kinder-Morgan’s Trans-Mountain pipeline, Anacortes, WA. WHO. Climate Direct Action is Emily Johnson, 50 and Michael Foster, 52, of Seattle, WA, Annette Klapstein, 64, of Bainbridge Island, WA, Ken Ward, 59, of Corbett, OR, and Leonard Higgins, 64, of Eugene, Oregon, with the support of Climate Disobedience Action Fund.